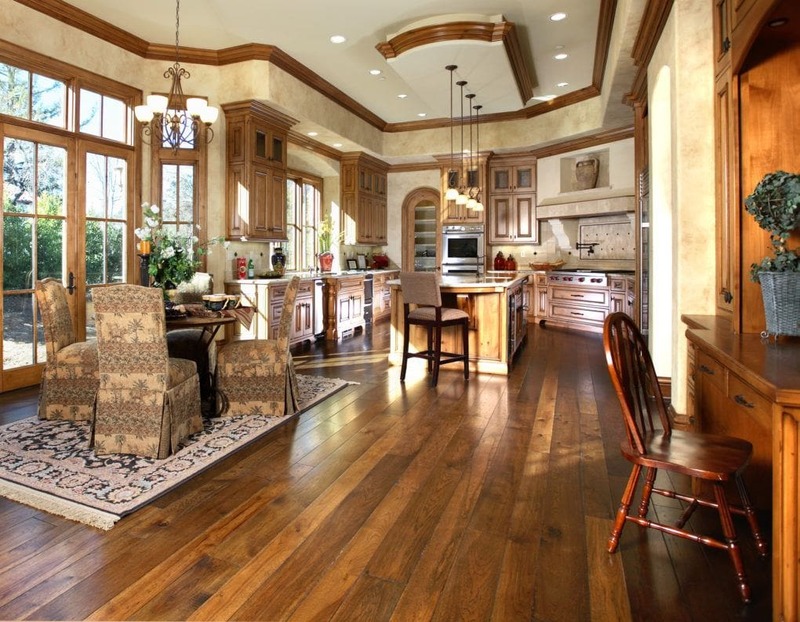 Newly constructed, 4500 sq. 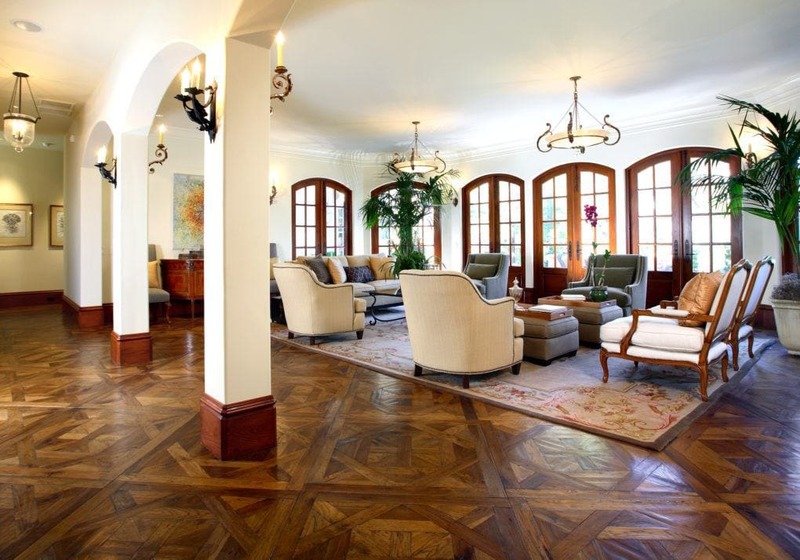 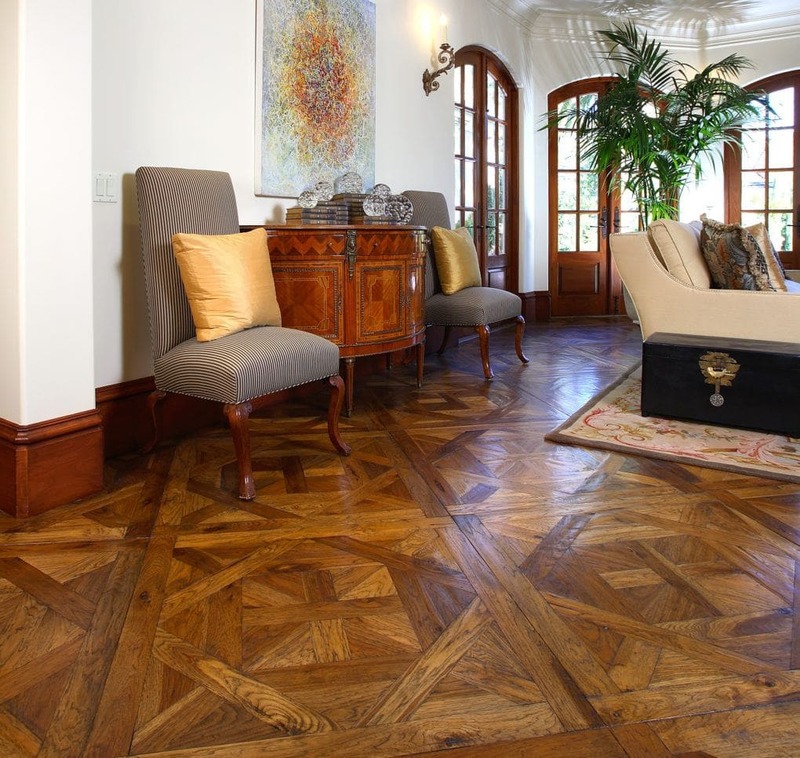 foot French chateau-style house, featuring high-end, hand-crafted wood Bordeaux parquet squares. 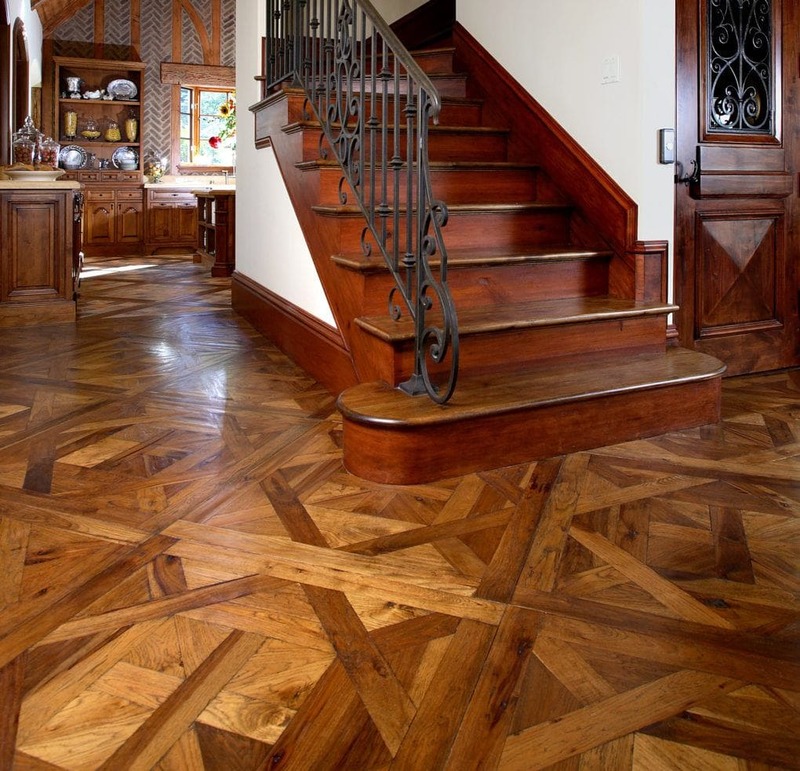 The Bordeaux home also has extensive wood wall paneling and custom designed wrought iron railings. 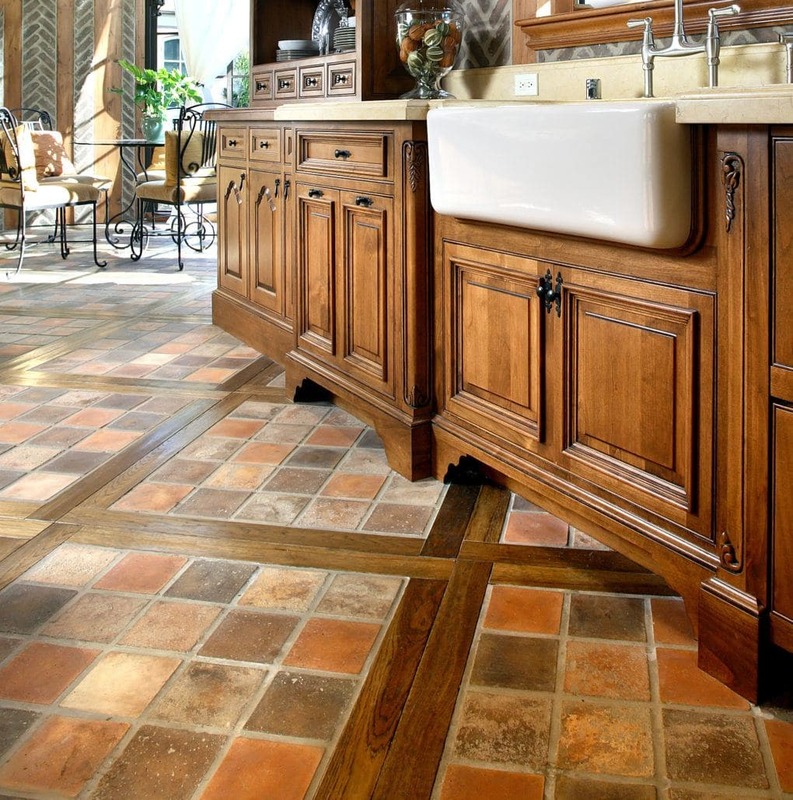 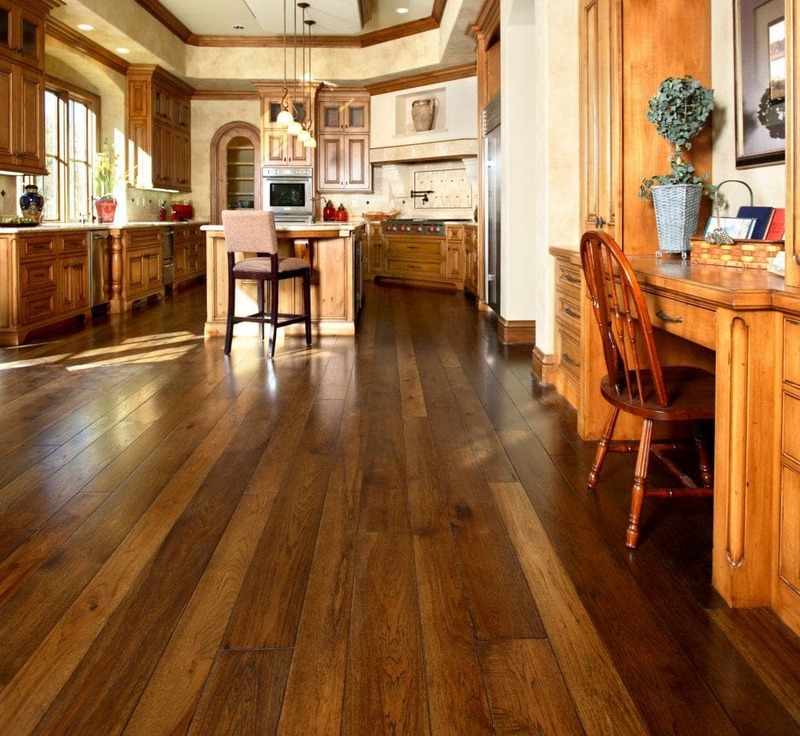 Material: Custom, hand-scraped rustic hickory laid with random width planks and Bordeaux pattern squares.